When I graduated university I was working for Nordstrom, at the flagship store in Downtown Seattle, where all of the buyers and corporate offices were located. As part of my 5 year plan, I told myself that despite having a bachelor�s degree in Entrepreneurship, I would stay working in the retail industry serving others, so that I could do two things: 1. Comprehend the minds of consumers and why they purchase & 2. 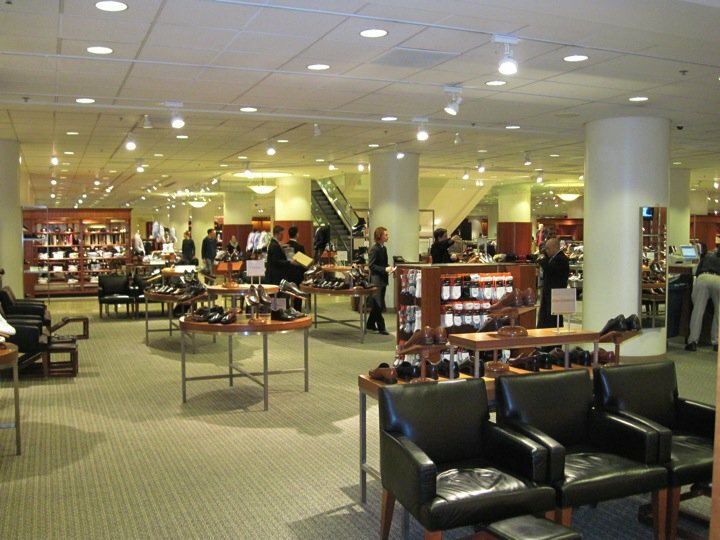 Network with and understand why buyers (of big department stores) do what they do. 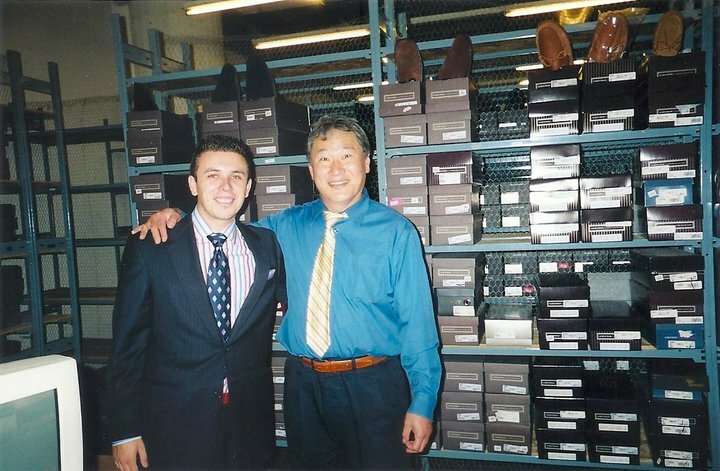 I decided that if I was going to ever have a shoe line and wanted to wholesale my shoes to a store like Nordstrom, I needed to know how to look good not only in the eyes of the buyers but also understand why one brand will sell better than another as well as why customers will buy one shoe over another. I decided to do this for two years as this was pertinent to the success of spreading my future brand across the world. Believe it or not, we were the top 2 salesmen at the time (out of +20) — Don’t Judge! For example, often we would have what are called �Trunk Shows�, where the sales rep of a certain company will come to the department in the hopes to present some new models or just be there to assist with anything relating to their brand. On these days, certain companies would offer incentives to the salespeople, such as $5-$10 per pair sold of their brand or maybe give a free pair if someone sells a certain number within that day. This would lead to EVERY single salesperson trying to sell their shoes, and sometimes we would do so well that in one day we would sell as many pairs of that companies� shoes as we normally would have in one week. 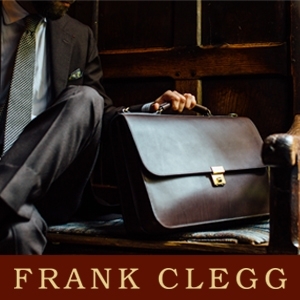 That�s the power of a salesman, and something not to be forgotten! The second thing I learned about were the buyers, but this I must say, while I even had a close friend that was a buyer, is still something that I ponder about�.in terms of their decision making. First and foremost, you have to understand the needs of the shop, and think about how you will fulfill those needs. For example, if a shop has shoes that sell at �200, �400, and �500 yet your brand is going to be at the �300, you will be more likely to appeal to that shop than if your shoes were at the �400 price-point that is already covered. That was more of an example of a small shop however, where more than likely the �buyer� is the owner of the shop. But if you want to get into a place like Nordstrom (or any major department store), you are going to have to fulfill a whole lot of more demanding needs like: strong brand recognition, proven track records at other stores, customer demand, and a strong marketing plan. But you will still have to fulfill the more trivial things like being a brand that brings something new to the table, being able to differentiate your brand from the next, and of course, come in at a price-point that is not only sellable, but profitable! While I am sure that there are more things that you need to do to appeal to the buyers, these are the ones that you should think about now, and more importantly how you are going to fulfil them��stay tuned next week for The Creative side of starting your own line. Brilliant post, Justin. I have to say I admire the methodical way you’ve gone about building your career. I had assumed you’d started out at Nordstrom randomly and discovered your passion for shoes there. But to have a plan that involved two years in retail as a start, is truly admirable. Respect! Reading your blog and buying a couple more decent pairs of shoes recently, has even got me thinking about having my own line some day! Just have to make some money out of my existing businesses first I guess! justin, intersted to hear how you plan to address the issue of ignorance of the shoe buying public & sheer bad taste when it comes to buying shoes? Lets say you had a customer who is happy to pay lets say �250 for a pair of ferragamos plasticy glued shoe line numbers(& margin here id guess is perhaps 40% for a retailer), would you still advise them to buy �330 pound goodyear welted shoes (with lets say a 15-20% margin)? what im getting at is that sometimes in clothing it seems that selling tat is a better business decision for the retailer. ps excuse accuracy of my numbers which i just speculated on, i havent worked in the industry, but sure you can correct me on this! 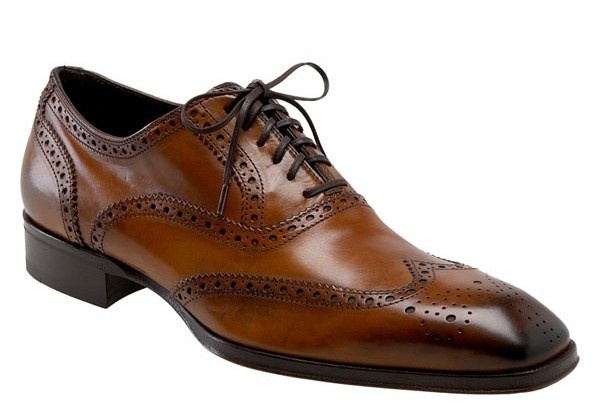 I’m not in retail, but if a friend of mine were about to buy a pair of “gluey” Ferragamo shoes for �250, there are plenty of good welted English shoes for under that budget: Cheaney springs most obviously to mind; better quality than Church’s now in my opinion (I’ve bought both recently). Even Church’s are around for �275 for that matter – and not just from the outlet or factory shop. Loake’s 1880 is around that price of course. 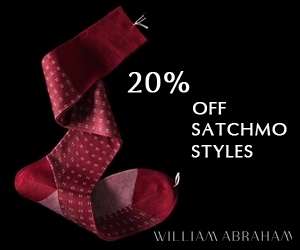 Or if you can find a sale then you might get really lucky within that price and find a knocked down Crockett and Jones, Alfred Sargeant or Tricker’s. But at under �250 in a British department store, the brand I’d suggest you’d find most easily, is Barker. John Lewis etc. 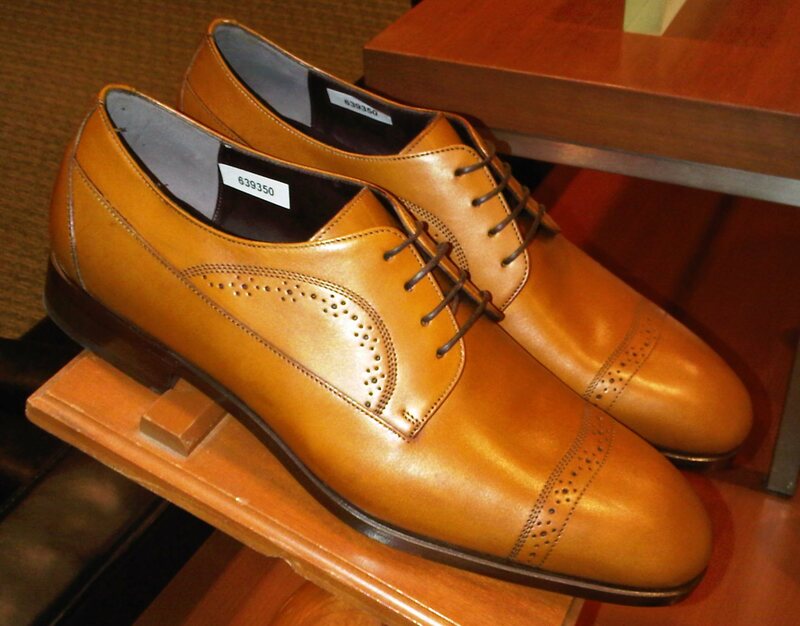 always seem to have a range of Barker’s shoes, so as a comparison with Nordstrom they’re probably not a bad example. Barker’s “Handcrafted” range is about �225, and has some lovely elegant designs. 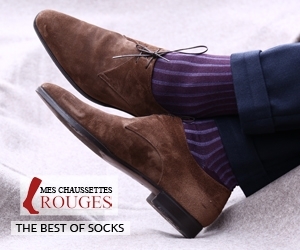 The “Professional” collection is more traditional, but brilliant quality at about �175, and a more accommodating fit. I say this because my business partner, like most men of his stature where I live, has spent a lifetime buying “designer” brands off the peg at inflated prices, and shoes to match. What’s more, he has always found his shoes too narrow and hard to wear all day. I’ve just given him a G-width Barker “Windsor” in cedar tan, with trees etc all in, that would cost you �175 in the UK including VAT and free postage. I have now converted someone for life to quality shoes, solely on the basis of this reasonably-priced classic! Come to think of it, I might have to order some myself; don’t have any Barker and those were lovely…if they hadn’t been half a size too small for me he might never have got a birthday present! Alex B – Thank you sir….in reality, most of my life has been methodical….I can’t really live without a plan of action and a checklist to measure progress…I am a bit strange like that…I don’t like the feeling of stagnation. Now, for who makes money on the ‘tat’, that is usually down to designer shoes who sell their shoes at �500 retail price, but they only cost �20 to make….think Prada whose glued rubber soled shoes cost +�400 and probably cost less than �20 to make….. I hope that this helped…. Sounds like the Nordstrom in Seattle has nicer shoes than the store in Indianapolis. I was there last summer and thought I’d have my new shoes cleaned (great Jeffrey West shoes with a nice classic shape and a subtle spider design on the toe). Imagine my horror when I saw the brush come down and scrape across the toe. There was a big piece of grit in it and it tore a gash across the shoe. Brand new shoes, the only such pair I’ve seen before or since, ruined in one stroke. The management weren’t terribly apologetic. I had to tell them they were going to give me any pair of shoes in the store. They reluctantly agreed – their lack of apology had got me pretty steamed. The problem was I couldn’t find a single shoe in the store that I’d want to wear. I don’t mean to be a snob, but all they had were big clunky American shoes that depress me. I’m sure your department was nothing like that, Justin!